Sometimes you just get tired of doing dishes and want to change your life. This is why a dishwasher is so essential to any kitchen. A countertop dishwasher fits between your countertop and cabinetry for space saving. They following five countertop dishwashers are efficient and compact, making them perfect for apartments, office kitchens or any small-sized kitchens. Pick one and make finishing you dish washing task a snap. 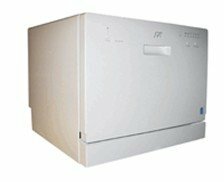 Functional, compact and energy saving, this SPT Countertop Dishwasher is perfect for apartments, office kitchens or any small-sized kitchens. It fits between most countertop and cabinetry with a height of only 17.24-inch. It offers 6 wash cycles, allowing you to choose the one that’ll most effectively clean your dishes. This unit also comes with durable stainless steel interior and water temperature up to 148-Degree F. With a sleek silver finish, this countertop dishwasher will match with any contemporary kitchen decor. 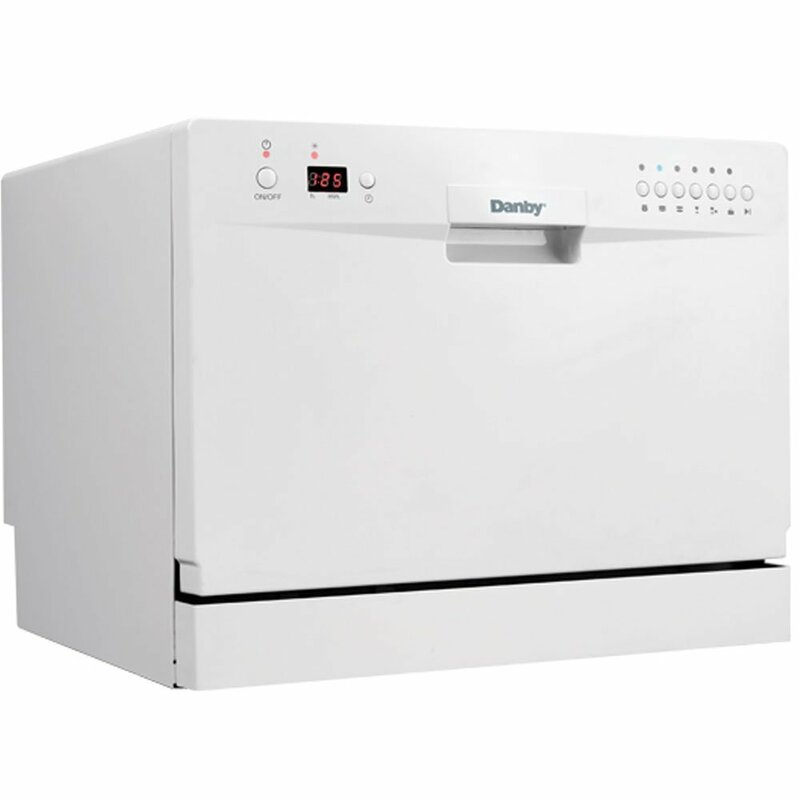 Never go through the hassle of washing your dishes by hand with the help of this Danby DDW611WLED Countertop Dishwasher. As an Energy Star model, this countertop dishwasher helps save money and conserve energy. It provides room up to 6 standard place settings, making it ideal for families. The quick connect system allows you to hook it up to any kitchen tap. 6 wash cycles for efficient washing results. 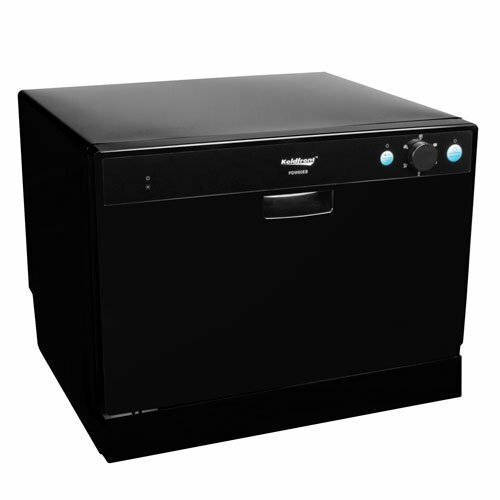 Looking for a portable countertop dishwasher with low profile? You will love this Koldfront 6 Place Setting Portable Countertop Dishwasher. With the height of over 17 inches, this unit fits comfortably under most cabinetry with no permanent installation required. Best of all, this countertop dishwasher saves money. It uses only 200 kilowatt hours per year – approximately 61% less energy than similar countertop dishwashers. An internal water heater included boosts this unit’s water temperature to up to 149°F. 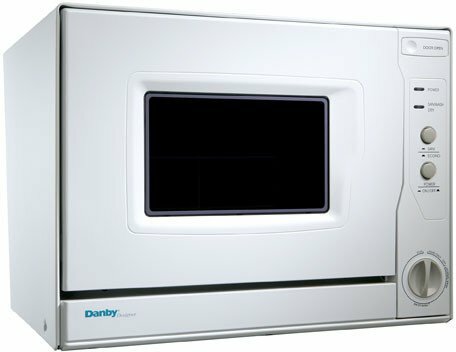 Make your life easier with this Danby DDW496W Countertop Dishwasher. Washing your dishes effectively, this dishwasher is a great gift for those who are tired of doing dishes by hand. With a compact design, making it great fit to any small apartment kitchen. Its sani-wash feature increases water temperature to 158(degree)F (70(degree)C). 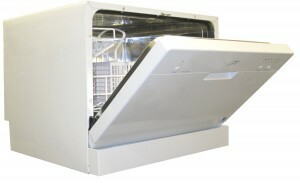 4 wash cycles ensures efficient washing result every time. Hate doing dishes? 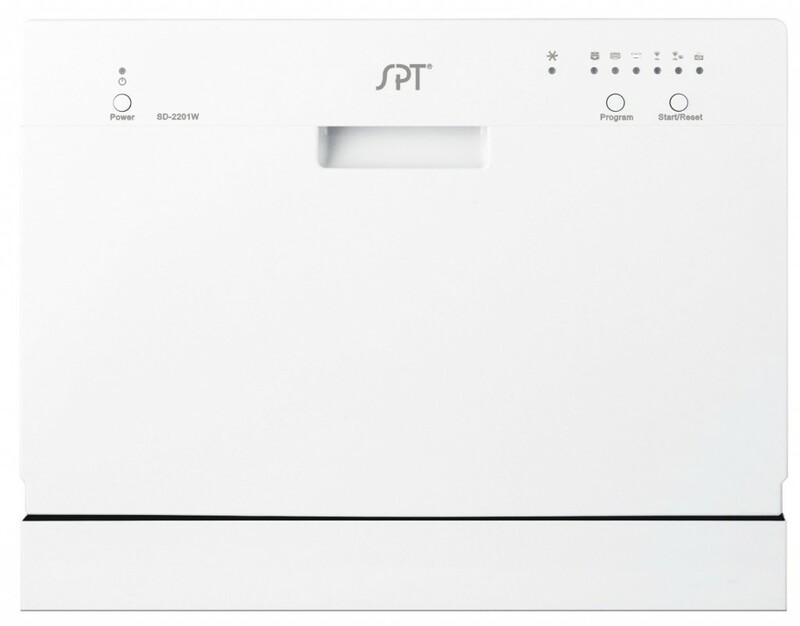 No worries, the SPT-SD-2201S Countertop Dishwasher will be a solution. It features a durable stainless steel interior and spray arm.6 wash cycles. Great for apartments, office kitchens or any small-sized kitchens, it fits between most countertop and cabinetry with a height of only 17.24″. The faucet adapter included for quick and simple connection. Energy Star certified for money saving.